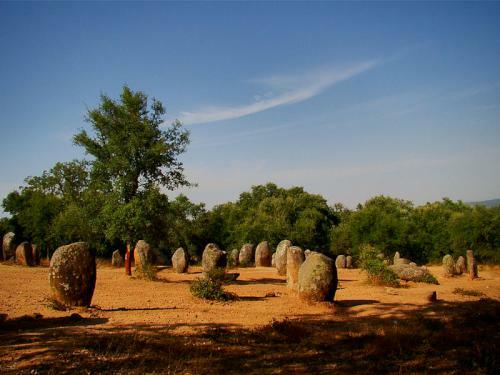 The Almendres Cromlech is a mysterious and enchanting megalithic complex located close to the city of Évora. 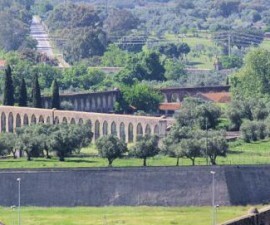 There are several such complexes to be found elsewhere in Portugal and the Iberian Peninsula, however this is by far the largest, and is in fact one of the primary sites in all of Europe. The site consists of a number of megalithic structures – cromlechs and menhir stones – and dates back to between 3000 BC and 4000 BC. 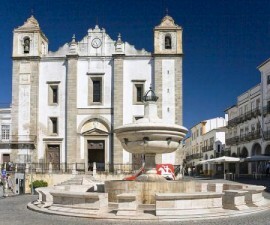 Interesting enough, the site was hidden beneath ground and undergrowth for centuries, and was only rediscovered in 1966 when geologist Henrique Leonor Pina was undertaking field work in Évora and the surrounding area. The site was subsequently fully excavated to expose the full extent of the structures and their complicated chronological history. It appears that the construction took place over a long period dating from the Chalcolithic Age to the Iron Age and it is believed that the site was built either as a religious or ceremonial monument or as a primitive astronomical observatory. 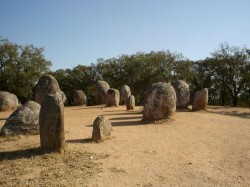 The site of the Almendres Cromlech is reached from the main road leading from Évora to nearby Montemor-o-Novo, close to Guadalupe village. The cromlech itself is located some 1.5 kilometres from the menhir and the two are these days joined by a pedestrian trail set by the local council, which connects these and other megalithic remains that are to be found throughout this rural area of Portugal close to the city of Évora. The complex is organised into a circle and consists of no fewer than 95 monoliths made of granite, which are in turn organised into smaller groups. The earliest monoliths are smaller and are located towards the western flank of the complex, while those dating from the middle Neolithic and late Neolithic phases spread out to the east where they join the large menhirs. Archaeologist and historian Mario Varela Gomes established the original layout of the stones from research and rediscovery of their original bases and many have been rebuilt and/or re-erected in their correct positions. Interestingly, the latitudinal position of the complex is around the same as the maximum moon elongation at the time of its latest construction in 1500 BC. 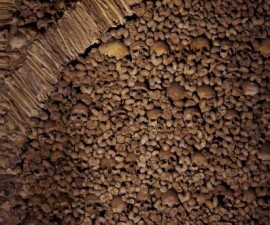 Regarding its construction dates, this is also the same at Stonehenge. 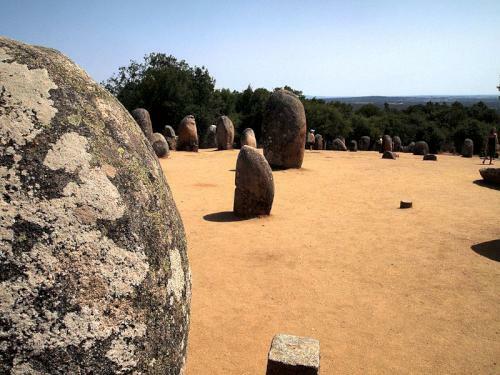 The Almendres Cromlech is a delightful and rather ethereal place to wander, explore and discover some of the hidden treasures of the site. Some of the monoliths display carved drawings, hinting at secrets of ancient Portugal that perhaps we shall never discover but which will undoubtedly remain as questions for centuries to come.